First of all Why Sinan? We will come to biography of him in a bit but lets try to talk about the importance of Sinan for Turks and Ottomans: When you look at the history of Ottomans, 16th century was the golden century for them..16th century was the peak of the ottoman rising. Four / five names can be used to represent this era of the history for Ottomans: Kanuni, Istanbul, Suleymaniye /Selimiye and Sinan. In the West, philosophers or artists can become symbols for nations. Shakespeare for British, Goethe for Germans, Michelangelo/Leonardo for Italians for example. 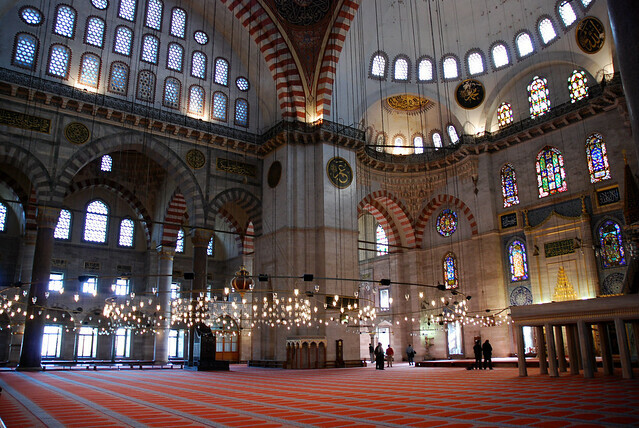 For Turks as well as the heroic sultans, culturally, Sinan can be the name that we can identify with.. Sinan´s name represents the essence of Ottoman architecture. What he has done for Ottomans and especially for Istanbul have never been parallelled by any other architects!! He was the chief imperial architect at the time when the empire was at its richest period and when the most construction was going on in the empire´s capital. This was the chance Sinan had. This chance gave Sinan the ability to transform the city, ability to stamp Istanbul as the Turkish city! 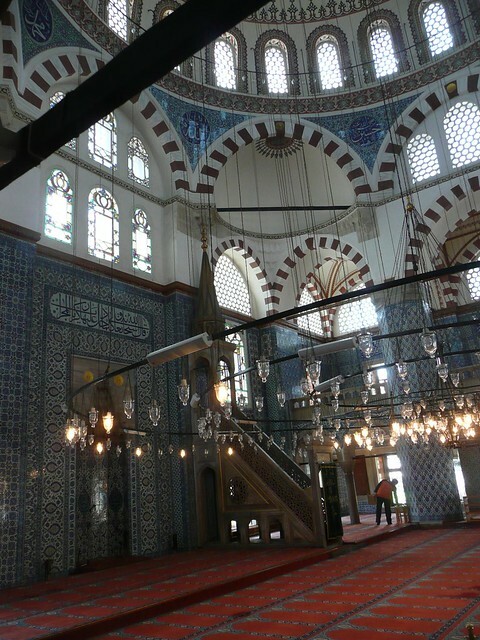 !What is known about Sinan is not much unfortunately.. Nobody knows very much about what kind of person he was, what he thought about the art and architecture in general. This also explains what it was like at the time. In the end, Sinan himself was a product of a system where everybody´s duty was outlined as ´working for the empire, the sultan and everything is done for Islam itself´. Everybody was a subject of the sultans. Sinan produced all those monuments in that type of world. That is what life was like at the time for the people we call Anatolian Turks. In the end what we know about Sinan is his buildings as an architect not a person with his thoughts/ideas..
We also know that Sinan had 5 daughters and 2 sons, and that he died in 1588. Because he was a janissary in 1521 and training for becoming a janissary being taken at 15 yo, he must have died at around 90 years old.. He was the head architect to Kanuni (the law maker) Suleyman (Suleiman the Magnificent) for 28 years, 8 years to Selim II and 14 years to Murat III.. He was buried in Suleymaniye. When he died, he owned 23 houses, 34 shops, 1 mill, 1 big garden, 5 water fountains, 3 schools etc. He also had a place for his slaves and concubines (in his will, he asked them to be freed when he departed).